Over the past 15 years, State DOTs have made significant progress incorporating recycled materials and industrial byproducts in transportation infrastructure. Recycled materials add economic value, enhance service life, and promote sustainability by reducing emission of greenhouse gases, consumption of energy, and consumption of natural resource during construction. Despite these benefits, many recycled materials remain under-utilized due to technical and institutional barriers. The Recycled Materials Resource Center (RMRC) was created to assist State DOTs and FHWA in breaking down these barriers through research and outreach activities focused on the wise and safe use of recycled materials. The initial RMRC was founded in 1998 at the University of New Hampshire through an agreement with FHWA based on a stipulation in TEA-21. In 2007, the RMRC was renewed as RMRC-2 as a joint venture between the University of New Hampshire (UNH) and the University of Wisconsin-Madison (UW). RMRC-2 was awarded competitively and funded by FHWA and by a state pooled fund, TPF5(199), supported by Alabama, Colorado, Georgia, Indiana, North Carolina, New Hampshire, New York and Wisconsin. The contract for RMRC-2 ended on 31 December 2011. TP5(199) could have been extend beyond this date, but an administrative decision was made to terminate TP5(199) on 31 December 2011, i.e., at the same time as the main contract for RMRC-2. FHWA had no immediate plans to create a follow-on version of the RMRC and is supportive of the formation of a follow-on pool fund by the states to continue the mission of RMRC. 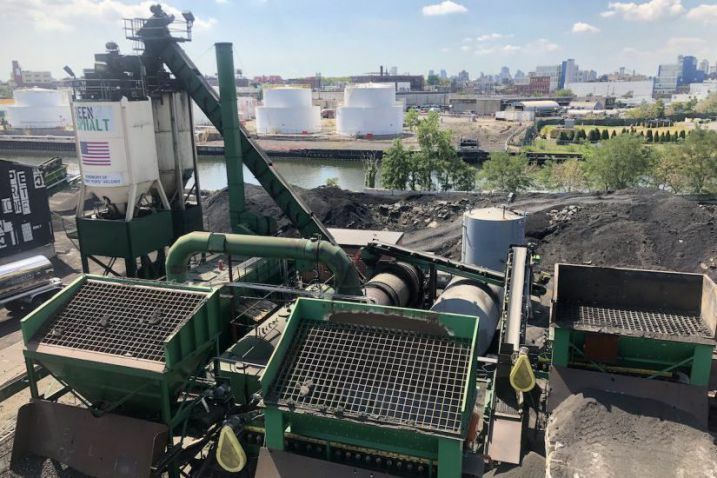 State DOTs have developed considerable interest in using recycled materials in transportation construction and are seeking technical information regarding appropriate uses and best practices for existing and forthcoming recycled materials. The need for this information has never been greater. Thus, to maintain momentum regarding the use of recycled materials in transportation infrastructure, with emphasis on enhancing sustainability, service life, and cost savings, a new third-generation RMRC (RMRC-3G) as proposed by Wisconsin DOT began operation on 1 September 2012.
in the Federal Highway Administration’s Resource Center in Lakewood, Colorado. Mr. Mueller was the technical representative and co-Contracting Officer’s Technical Representative (COTR) for RMRC-2. The Board has direct input on the activities and priorities of RMRC-3G through a balloting process tied to the level of contribution provided by each state. Success of RMRC-3G hinges directly on the ability of its leadership to define and tackle the most pressing barriers affecting the use of recycled materials in transportation infrastructure. The leadership team is comprised of the Executive Board (representatives of the states supporting the RMRC), the FHWA representative, and the university personnel undertaking outreach and conducting and/or managing the research. The collective wisdom and experience of this team defines the most important technical issues, and the best methods to address these issues. The pooled fund participants, which are the state DOTs, are represented extensively on the Executive Board. Technical Advisory Committees are established by the Board as needed to deal with specific projects and material categories as needed. The staff of the RMRC manages day-to-day operations of the Center and this proposed Pooled Fund, including coordinating communications, fiscal management and additional support to each of the committees as needed. RMRC-3G began with a collaborative effort to define a clear vision of the most important barriers affecting the use of recycled materials today and in the future. This visioning effort was followed by development and implementation of an integrated strategic plan focused on developing and providing the technical information and educational resources necessary to break down the barriers. Work plans are then be developed under the auspices of the Executive Board with the ultimate objective to increase the safe and wise use of recycled materials in roadway construction and maintenance. Wisconsin DOT is the agency proposing the pooled fund. Wisconsin DOT is responsible for soliciting interest from other states. Wisconsin DOT acts as the sponsoring agency and will contract with the University of Wisconsin-Madison to manage the pooled fund. Wisconsin DOT receives invoices from the University of Wisconsin-Madison for expenses generated through the accomplishment of pooled fund tasks. Participating states review, comment on, and recommend for approval all project proposals generated by RMRC-3G staff, through their participation on the Executive Board. Participating states, through their involvement with the Executive Board, make final decisions of the approval of any project proposal recommended to them by the RMRC-3G staff and appoint Technical Advisory Committees (TACs) to oversee the projects. All participating states, including the lead state, have one vote on the Executive Board. Participating states propose research and outreach topics to be developed as proposals by the RMRC-3G staff. RMRC Staff plan, coordinate and facilitate meetings of the Executive Board and TACs using teleconferencing and other available technologies as well as through face-to-face meetings. RMRC Staff prepare draft proposals (including work plans and budgets) to be presented to the Executive Board for their review, comment and approval. RMRC-3G staff may propose research projects to the Executive Board in addition to those submitted by the participating states. RMRC Staff prepare quarterly reports to be submitted to the Executive Board and the Wisconsin DOT. RMRC Staff manage the research process, including the generation of research topics, assist in the writing of research statements, soliciting proposals, contracting of external research projects, monitoring progress of projects, and finally, coordinate review and approval of draft final reports. Staff write research summaries for each completed research project. 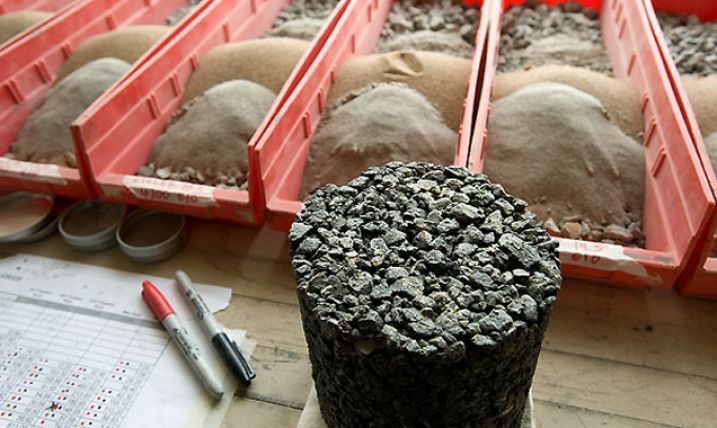 The RMRC-3G research program focuses on recycled bound materials (e.g., asphalt and Portland cement concrete) and unbound materials (e.g., base, sub-base, structural fill) and the application of these materials in transportation infrastructure. Factors that affect long-term physical and environmental performance of recycled materials will be evaluated using scientific principles and applied research. Additionally, a database for life cycle assessment (i.e., environmental benefits in terms of greenhouse gas emissions and energy consumption) associated with practices that use recycled materials and industrial byproducts will be created and validated to allow for rational evaluation of material and construction options in the context of life cycle cost and sustainability. The total budget, based on previous commitments and scope of TPF-5(199) is $500,000 per year, with contracted work starting at $100,000 during the first year. Future obligations will occur as needed to fund further activities set forth by the Executive Board. Each partner is asked to contribute $25,000 per year for four years. Staff of WisDOT provides management of the overall program while the University of Wisconsin-Madison provides direction and management on a program level. The RMRC-3G outreach and technology transfer program develops specifications, standards, manuals, and educational materials on using recycled materials as well as deliver technical information and materials through the internet, seminars, webinars, workshops, and symposia. These activities are directed primarily at State DOTs and the AASHTO Subcommittee on Materials, but also include the broader engineering, regulatory, and construction communities through participation in the activities of various professional organizations (e.g., TRB, ASTM, ASCE). Projects under these programs are determined by partnering agencies and RMRC Staff, and are submitted for FHWA approval at the beginning of each federal fiscal year. An evaluation of the pooled fund at the end of the projects life will determine the need for an extension or the creation of a fourth generation pooled fund. Future obligations will occur as needed to fund further activities set forth by the Executive Board. FHWA will be asked to review and approve all projects as set forth in the committee structure. States are asked to contribute $25,000 each year. Contributions less than $25,000 are accepted; however this will limit the state’s voting power on proposed projects. RMRC staff is encouraged to leverage funds provided by the participants with other resources to greatest extent practical provided that leveraging funds support closely related or coupled initiatives.